Oh Eighteen Jade Arhats, you looked so good when we first met. You presented yourself with nothing but class and promises of wonderful times. How my heart fluttered at your awesome box art full of white-eyebrowed old men in dexterous kung fu poses and bizarre multi-limbed training machines. Your plot summary read like a smorgasbord of wu xia thrills and edge of your seat action, a veritable buffet of tasty kung fu goodness. Your opening credit sequence featuring a duo of seasoned martial artists fighting a twenty foot tall, 14 armed robot-statue nearly brought tears of joy to my eyes. Oh where did it all go wrong? I thought we had something special. Instead, our love fizzled out in a sea of dizzying confusion and broken promises. That’s the gist of it. 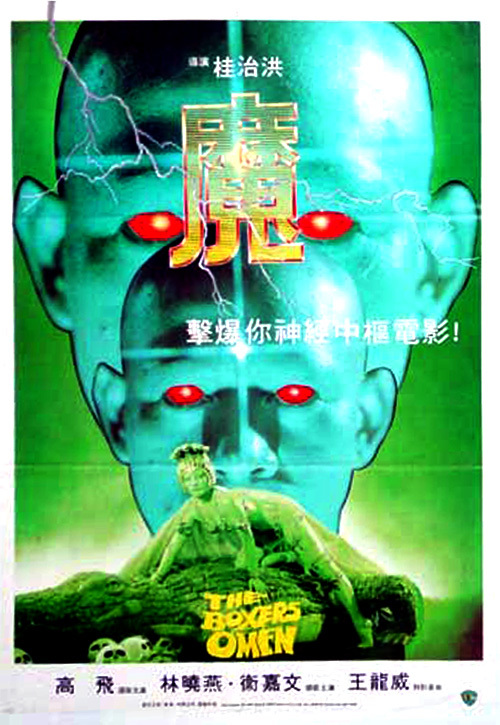 The Eighteen Jade Arhats, in its eager attempt to give you the world, throws a little bit of everything at you at such a frantic, breakneck speed that it ends up playing out like a collection of Shaw Bros. trailers instead of anything resembling a real motion picture. At one moment you have a dizzying, treetop wire-assisted fight scene, and at the next you have a supernatural kung fu zombie thriller. This would of course be acceptable, welcome even, if there was a shred of coherent storytelling holding the funky mish-mash together. But instead we are left scratching our heads as the film carelessly jumps from subplot to subplot like a drunken frog looking for a specific fly in a vast sea of horseshit. Hell, sometimes subplots are discarded or flat-out forgotten altogether. The viewer of course, is so batshit confused by this point that they either won’t notice or simply won’t care. Expectations: High. Love Shaw Bros. films and this came highly recommended. 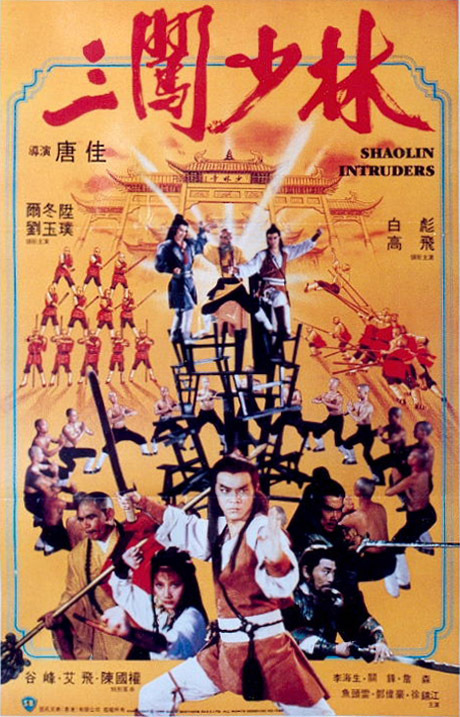 I watched this movie because my friend and colleague, Uncle Jasper, recommended this as a Shaw Brothers movie that featured some of the best fight choreography he had ever seen. As a huge fan of such things, I had to see for myself what he spoke of. Uncle Jasper was not pulling a fast one. 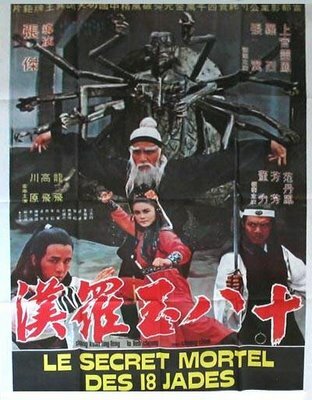 This is hands-down, one of the best Shaw Brothers movies I’ve ever seen. Directed by Tang Chia, longtime fight choreographer at Shaw Bros., the film exudes kung-fu energy. The opening titles run over a group of Shaolin monks going through their training exercises. There is a fight scene towards the end of the opening credits where all the monks use wooden benches as their weapons. It was so well choreographed and exciting to watch, a fantastic fight sequence, and we’re still in the opening credits! Director Tang Chia was fight choreographer on countless other Shaw pictures. His credits list goes on for days, culminating in his three directorial efforts, Shaolin Prince, Shaolin Intruders, and Opium and the Kung-Fu Master. If the other two are anything close to the awesomeness that is Shaolin Intruders, then they are also among the best the Run Run Shaw Studio has to offer.